It's never too soon to start building family pride. 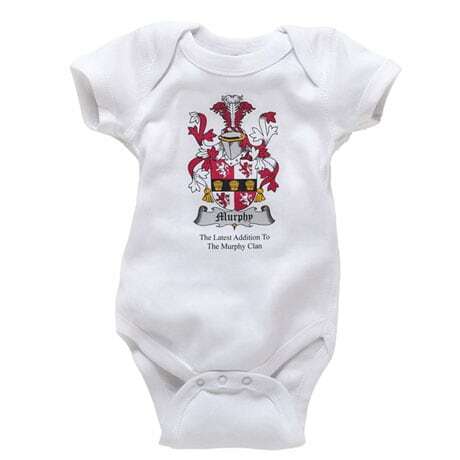 Printed with the earliest coat of arms associated with your family name, soft 100% cotton snapsuit has lap shoulders and a snap closure. Specify Newborn, 6 mos or 12 mos. Imported. Specify Baby's last name up to 18 characters. Allow 4 weeks. No rush delivery or gift box. Item can only be shipped within the Continental US.